tigerlilith knits...: 2010 colourways preview club!! 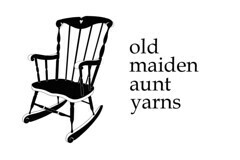 as you might already know, the Old Maiden Aunt 2009 “homecoming collection” colourways have been going down well. alas, in a few short months, it will no longer be 2009, which means it will no longer be the year of homecoming! so, i’m planning a new collection of colourways for 2010, and am having lots of fun dreaming up new ideas. (don't panic - some of the "homecoming" colourways will be sticking around - but not all of them). it will run for three months, with parcels being mailed out at the end of october, november, and december. each parcel will contain two skeins of sock yarn in two different colourways (i’ll be sticking to the superwash merino/blends for this club, so by the end of the three months you will have received two skeins each of 100% superwash merino, superwash merino/bamboo, and superwash merino/cashmere/nylon, with six different colourways in total) plus a few extra little treats (no patterns will be included in the club). each of the colourways will be brand-new, never-seen-before-in-the-web-shop, and will not be available for general purchase until january 2010, at which point they will form part of the new 2010 colourway collection. i would ask that you not sell on any of the yarns during the three months of the club (trading is ok). the club will cost £75 for UK/EU members and £85 for non-UK/EU members, and includes six skeins of sock yarn & all postage costs (plus a few wee treats!). the club will be limited to 50 members (although i’m not sure if that many will even be interested, but hey, who knows!). SWEET!! I'm totally interested!! Will be emailing you!